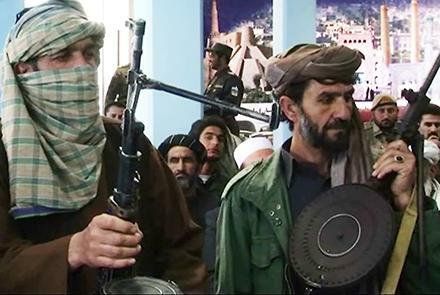 KABUL: A group of 70 Taliban are ready to join the peace process, Afghan officials said on Sunday. Afghan’s Herat provincial council chairman Kamran Alizai said talks had been held with the men, TOLO News reported. Alizai said the group had set some preconditions. These included securing employment on the Turkmenistan-Afghanistan-Pakistan-India (TAPI) gas pipeline project. “The armed group said they will join the peace process if employed on the TAPI project. They will also ensure the project’s security,” said Alizai. Herat governor Mohammad Asif Rahimi welcomed the group’s move. He said the government will provide them with employment opportunities after they join the peace process. “The door is open, the offer has been made to all the anti-government armed groups,” Rahimi said. The news comes just days after another group of 10 insurgents also joined the peace process in support of the TAPI project. Pakistan has thrown its weight behind Afghan President Ashraf Ghani’s latest initiative seeking unconditional talks with the Taliban and said it would make all-out efforts to facilitate the peace process. The fresh initiative was unveiled by Ghani on the first day of an international conference organised under the Kabul Process. The move envisages unconditional talks with the Afghan Taliban, something that Islamabad had been pushing for long. In a clear departure from the Afghan government’s earlier stance, Ghani not only proposed peace talks without preconditions but also hinted at bringing necessary amendments to the country’s Constitution to accommodate Taliban reservations. Within hours of the fresh pitch for peace, Afghan Ambassador to Pakistan Omar Zakhilwal held talks with National Security Adviser Nasser Khan Janjua. Ambassador Zakhilwal briefed the NSA on the international peace conference in Kabul. He informed that President Ashraf Ghani had given a message of peace and reconciliation to the Taliban, together with a message of closer engagement and cordial relations with Pakistan, with a view to promoting peace, stability and prosperity in the region.